Kenya Airways has sharpened its edge over its competitors in the region after securing rights to fly non-stop to John F. Kennedy International Airport in New York – the United States. Kenya’s national carrier this week started selling tickets for the inaugural flight which is scheduled for October 28, 2018. Kenya Airways becomes the second airline to offer a non-stop flights between East Africa and the United States, after Ethiopian Airlines. The only difference though is that Ethiopian only offers direct (non-stop) on return after it lost Addis Ababa International Airport lost the US Federal Aviation Authority Category one status (certification). This meant that for Ethiopian to fly to the US, it has go through an FAA Cat 1 airport. As a consequence, Ethiopian uses the Rome and Dublin as stop-overs before passengers re-board the plane bound for the US. With over 40 American multinational companies located in Nairobi and many more across Africa, the launch of daily flights is expected to further spur trade between America and Africa. The airline will operate its state of the art Boeing 787 Dreamliner with a capacity of 234 passengers. The flight will depart every day from Jomo Kenyatta International Airport hub in Nairobi at 23:25 arriving at JFK airport in New York at 06:25 the following day. From New-York it will depart at 12:25 landing at JKIA at 10:55 the following day. Being a long-haul flight, some flight reviewers think that KQ may actually struggle to make money off this flight. The launch also comes in the wake of financial troubles for the airline which saw the airline get rescued from a sea of debts by banks. Being a national Career whose activities are closely tied to its vibrant tourism industry, the government could be forced to prop it so as to support its struggling tourism sector. KQ’s move has however attracted lukewarm reviews from flight analysts with some saying the daily schedule could be too ambitious while others cited the flight duration as another possible drag. 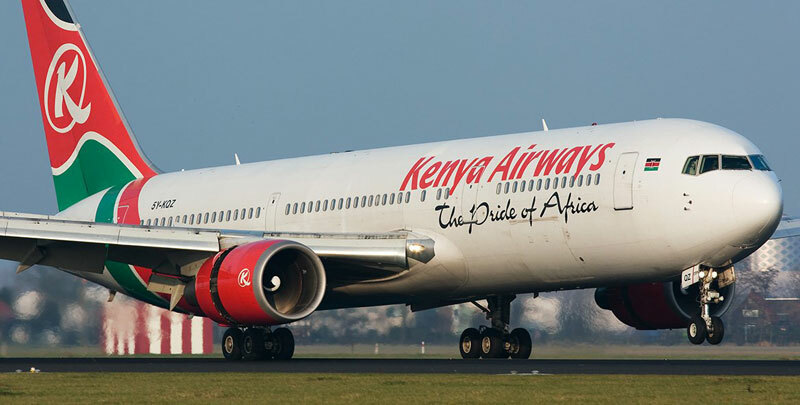 Michael Wakabi, a media analyst and airline industry watcher however argues that KQ’s entry into the market is unlikely to adversely affect its regional competitor Ethiopian since the two will be flying to different destinations. KQ and Ethiopian growing networks come at a time when Uganda are contemplating reviving their national career. With Rwanda`s national career also moving steadily, Uganda`s Airline is set to encounter stiff competition. Crypto currency, the online goldmine!